… Wait, that’s my husband and son’s vision of me in the kitchen. Let’s just let them keep this image of me, shall we? In reality, I’m way too busy to make breakfast from scratch. Way. Too. Busy. I would love to have the time and energy to do so, but it just ain’t happening. I do prepare a big made from scratch breakfast about twice a month, though. Because I don’t have the time for a homemade breakfast, I do feel guilty. I struggle to find healthy, convenient alternatives. It’s not always easy. So I’m thankful to Aunt Jemima. Got to love this gal! Aunt Jemima has come out with a frozen breakfast line, Lil’ Griddles. 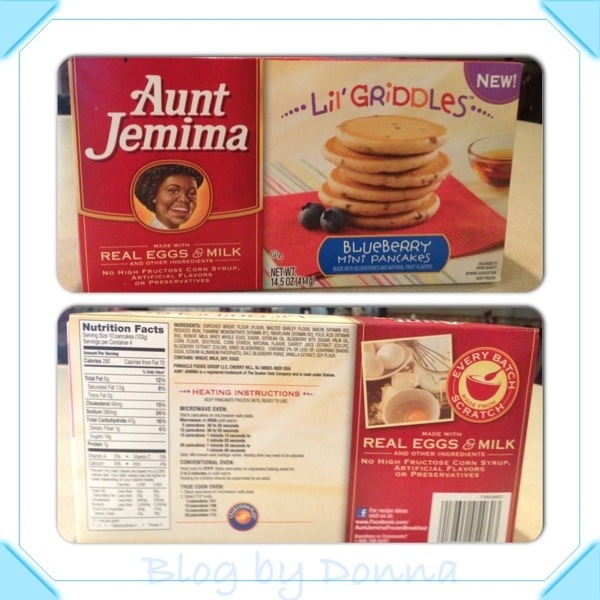 I recently tried the Lil’ Griddles Aunt Jemima Blueberry Mini pancakes. They may be small, but huge in taste. Every batch is made from scratch. They use “real” ingredients, like milk, eggs, and sugar. No high fructose corn syrup or preservatives. Just real ingredients. So instead of me putting on my apron and grabbing my mixing bowl and ingredients… Aunt Jemima did it for me. Thank you, Aunt Jemima! Now we busy Moms can turn off our griddles and let Aunt Jemima do the work for us. And the pancakes will turn out perfect every time, too. Then we can spend more time with our families. It took me less than a minute to have 10 mini blueberry pancakes ‘made from scratch’ ready for my son to eat for breakfast this morning. 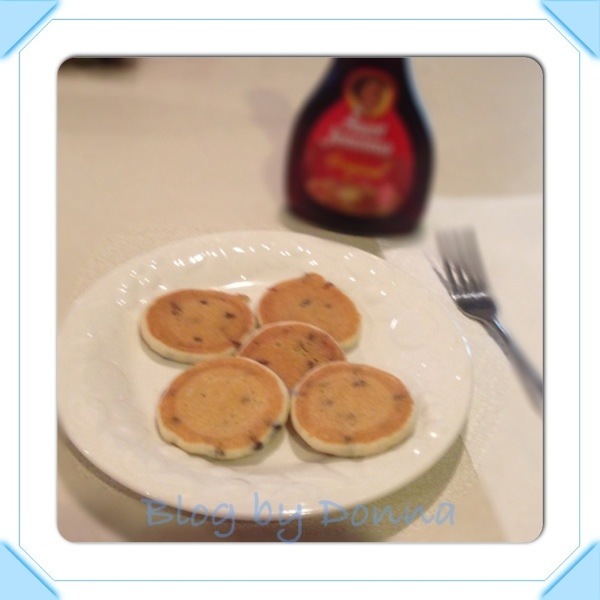 If you’re an on-the-go Mom like me, you will appreciate Aunt Jemima’s Lil’ Griddles. Besides, your kids don’t have to know you didn’t make them from scratch… you can keep that image of you as Suzy Homemaker intact if you want. I’m so happy to find a good tasting, real ingredients, easy and convenient breakfast option for my son. They’re so teeny! My kids would like that size. When we were lucky, we got Aunt Jemima growing up. My family still loves this brand. I’m sure these would be a big hit in my house. I’m going to look for them the next time I’m at the grocery store! My daughter would eat these up! 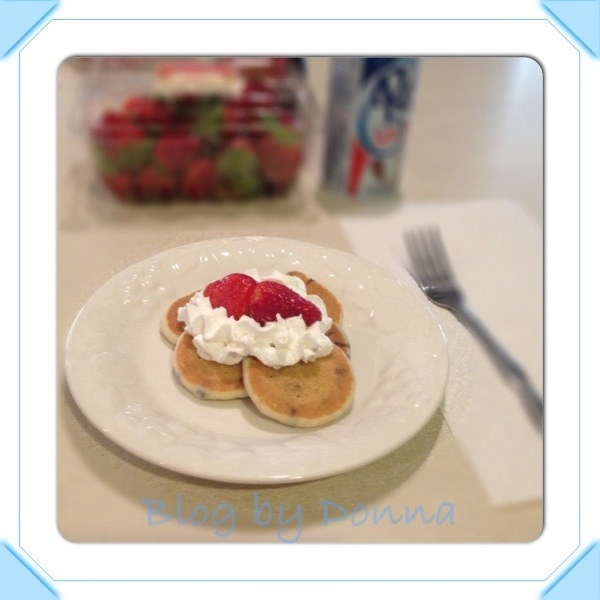 We love mini pancakes!! Super easy and kid-friendly for mornings when we need to get out of the house on time. I know these would be a big hit with my boys. My oldest would love these! Yummy! These look delicious, and just the perfect size to send in my kids bento lunches! I’m going to keep an eye out for these. These look really good – a perfect size for kids. I have had the Aunt Jemima pancakes before and I love them. I am not sure if we have these ones here yet, but will be watching for them!! My toddler loves the mini pancakes! I haven’t seen these yet but I bet my kids would love them. They need to sell this in my area. My son would love this! These would be such an easy go-to during those hectic weekday mornings! I need to keep an eye out for these, my son would love them! My kids absolute love pancakes and the fact that these are small makes them more fun. I’ll definitely be keeping an eye out for these. Thanks!